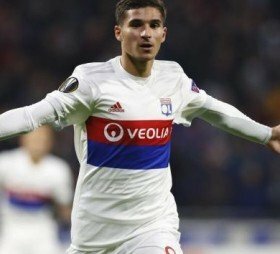 Lyon attacking midfielder Houssem Aouar has sensationally revealed that he turned down a move to Liverpool before deciding to stay in France and sign professional terms with his current club. Aouar has been a shining light in Ligue 1 so far this season and is expected to make the call up to France's full international side. Aouar is regarded as one of the best up and coming prospects in Europe and recently signed a long-term new deal at the French club. “Before I signed my first professional contract with Lyon in July 2016, Liverpool were interested in me," said Aouar. “I thought about it hard with those close to me on the decision I needed to take, what was better for my progression. Liverpool reportedly had made a 15 million euro transfer bid for the attacking midfielder, who can also play on either flank or as a forward. Liverpool instead opted to sign Naby Keita from German club RB Leipzig.